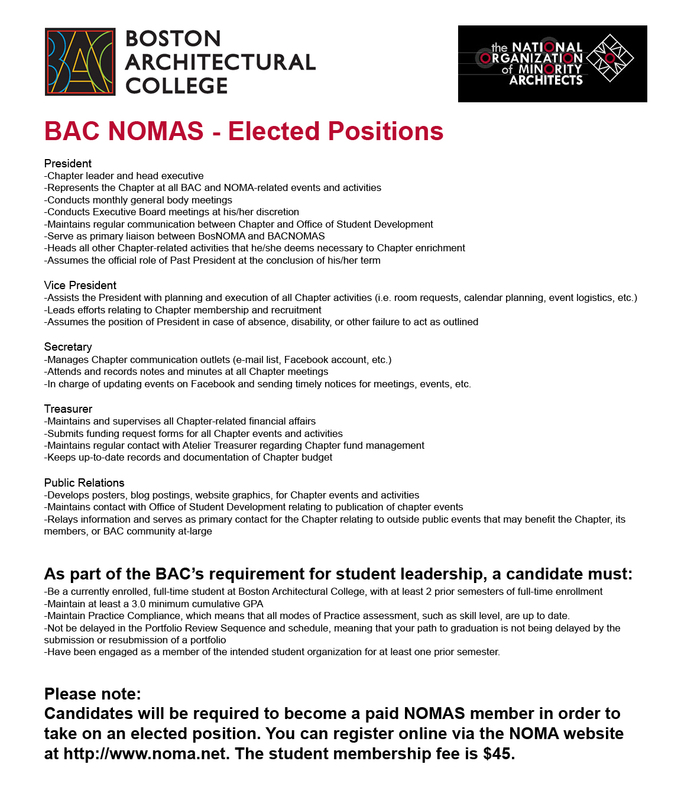 The BAC's student chapter of NOMAS - the National Organization for Minority Architecture Students - is holding elections for the 2013-2014 academic year. 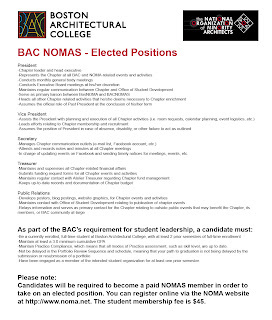 Click the image above to read about position descriptions, and eligibility. For more information about the timeline of elections, please click here.